Remember when I was admitting my carb addiction… I wasn’t kidding. Potatoes are another big love of mine. I could eat french fries all day long if they werent so bad for you. 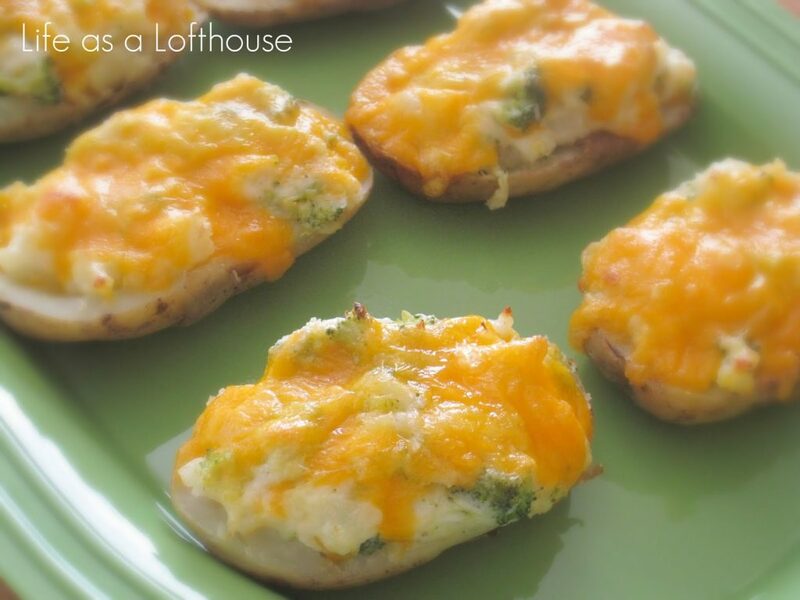 These twice baked potatoes are so delicious! 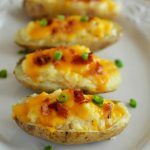 They’re a little different from the common twice-baked potato that have bacon and green onion. 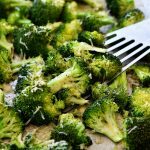 These ones are packed full of flavor with sour cream, ranch dressing, garlic powder and my most favorite veggie ever… broccoli. 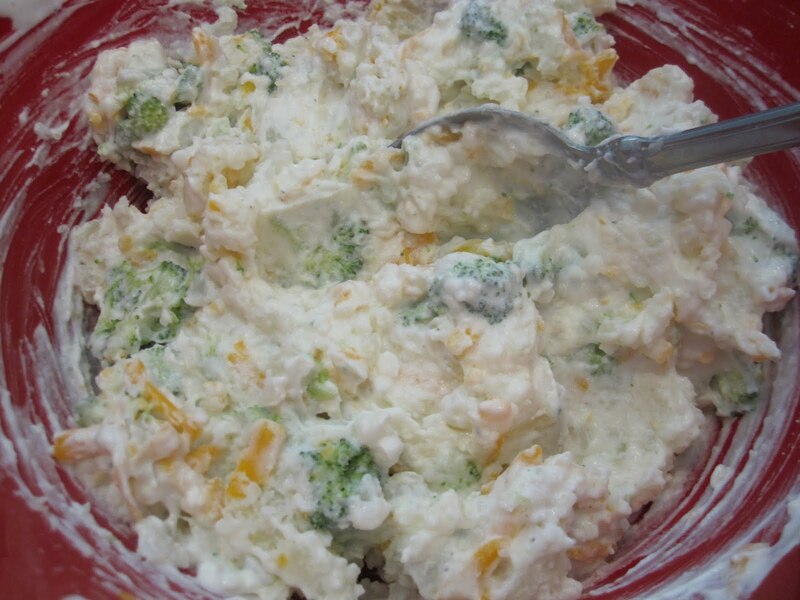 This is a perfect side dish to bring along to your 4th of July barbecue! 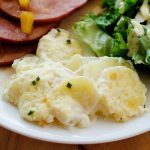 Or if you’re looking for an easy dinner to make on weeknights, you could whip these up and have a side salad to go with it. When I made them for us that’s exactly what we did. It was a perfect meatless, yet satisfying meal! Wash and poke holes in each potato. Cover each in foil. Bake at 400 F° for 1 hour. 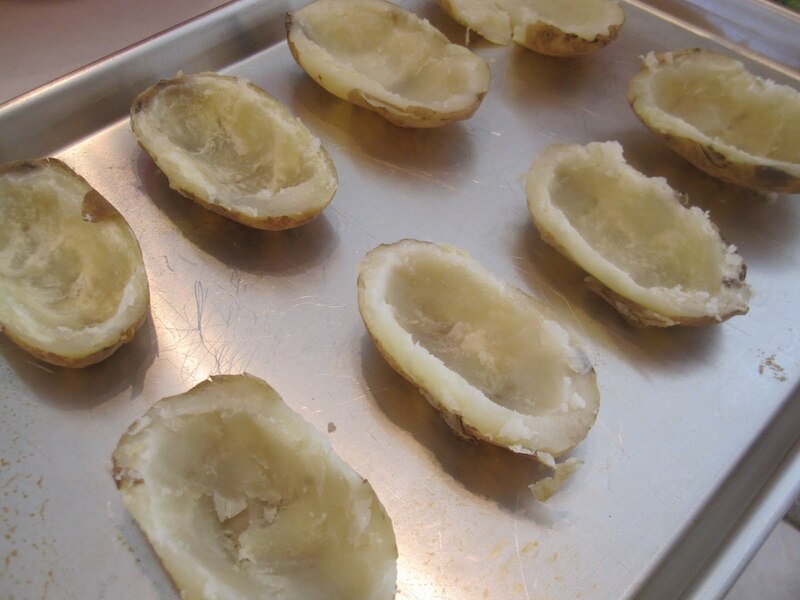 Carefully remove potatoes from oven and unwrap the foil. Let cool for 30 minutes. Cut the potatoes in half lengthwise. With a spoon, scoop out the insides leaving a ¼ inch in the skin. Place all the scooped out middles in a large bowl. Set the potato skins onto a cookie sheet. Mash the potatoes with a fork, mash only until lumpy, not smooth. 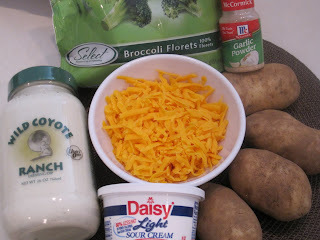 Then add the broccoli, ranch dressing, sour cream, garlic powder and ONE cup of the shredded cheddar cheese. Mix together well. 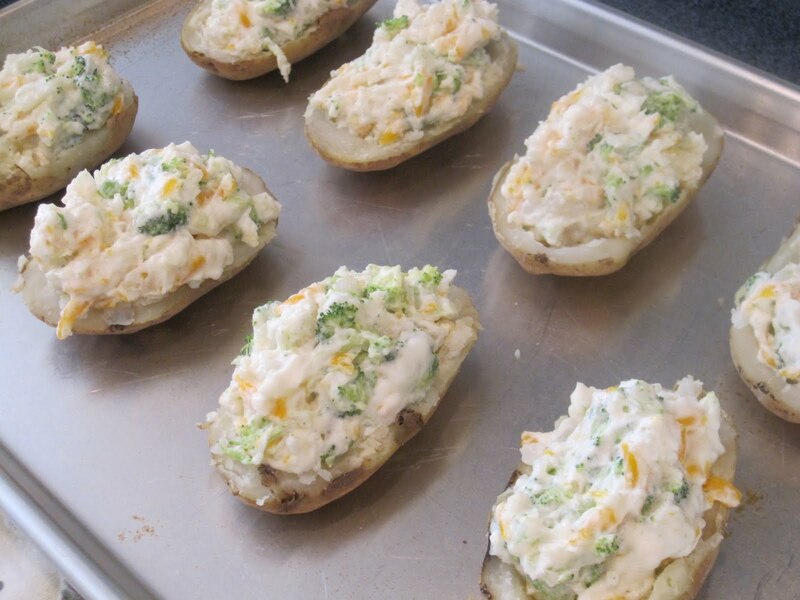 Spoon the mixture into each of the potato skins. Top each with remaining cheddar cheese. Bake at 400 degrees for 15-20 minutes, or until cheese is melted. 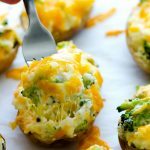 I’ve never made twice baked potatoes but I love eating them! Having the broccoli in them will make me feel less guilty about all the carbs and cheese in them! Bookmarked! Those look delicious. I have made similar potatoes, but never with broccoli. This recipe is a must try. Sounds wonderful! Great recipe! Thanks for sharing. My life would not be complete without potatoes!!! haha This sounds right up my alley! 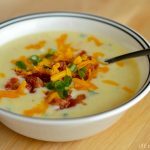 Jason’s Deli got me started eating Cheddar Broccoli Soup over my baked potato….so, I am definately, FOR SURE trying this! This looks delicious! 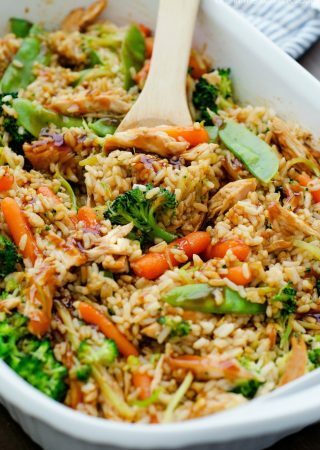 I love it that you added broccoli! 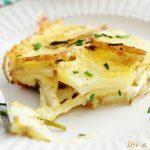 I love potatoes, any way it is done! I cannot imagine not having potatoes at all! Bookmarking this! Thank you! Pure genius!! I am definitely going to be making these this week! Just added these to our weekly menu : D excited to try them! These look so delicious. 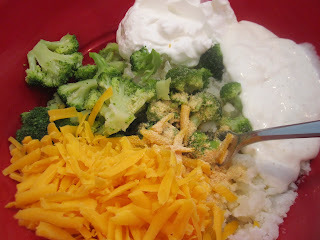 I’ve only ever had them the “traditional” way, but I love the idea of adding broccoli to them! This is the perfect comfort dish. 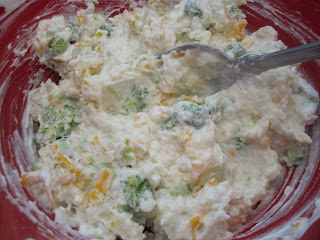 What a great side dish for a summertime barbecue. 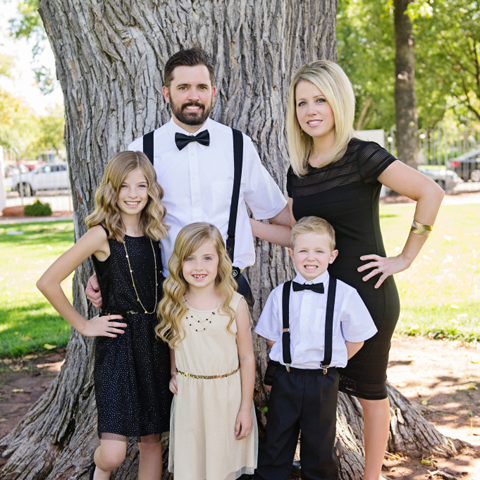 Such a great dinner idea. 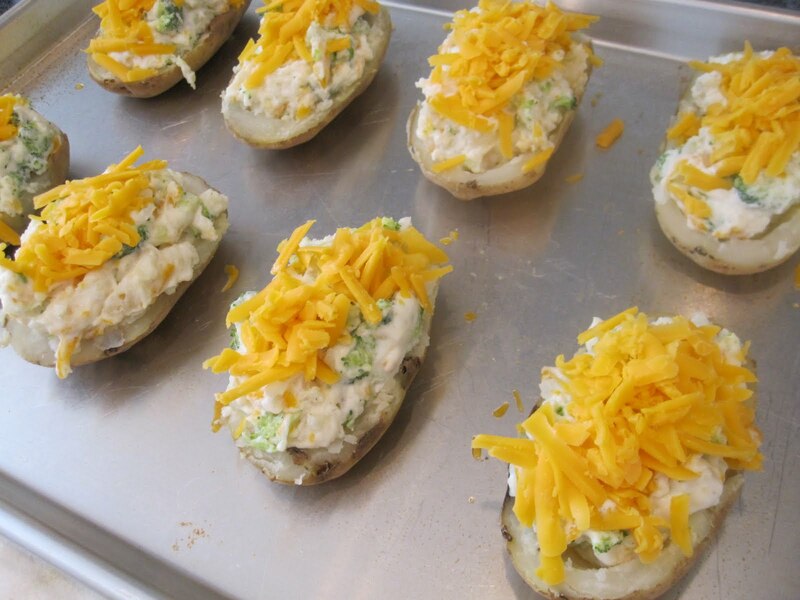 I have yet to make twice baked potatoes. They look awesome, broccoli is my fav too! I think I’m gonna add some bacon bits to these and maybe some chives. Then they would be fully-loaded potato nirvana. I missed this one! WTH? 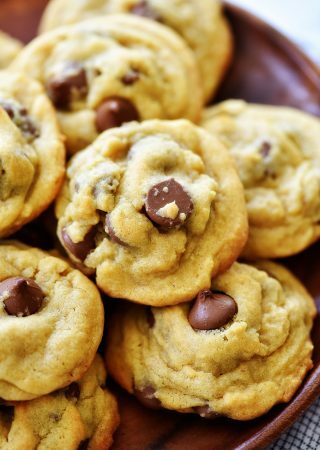 I need to make these soon. A lot of your recipes remind me of something MKF Fisher’s book “how to cook a wolf” this type of cooking goes against all things I learned growing up as a kid about a “balanced meal” but I can see now that you can have a deliciously nutritious meal without having to have a meat, a carb, a veggie, and a dessert to finish. I like your ideas!